Whether you’re Irish all the time, or just Irish on St. Patrick’s Day, these St. Patty’s Day craft ideas and project tutorials from our House of Ideas experts are the perfect way to celebrate your love of this Irish this year. 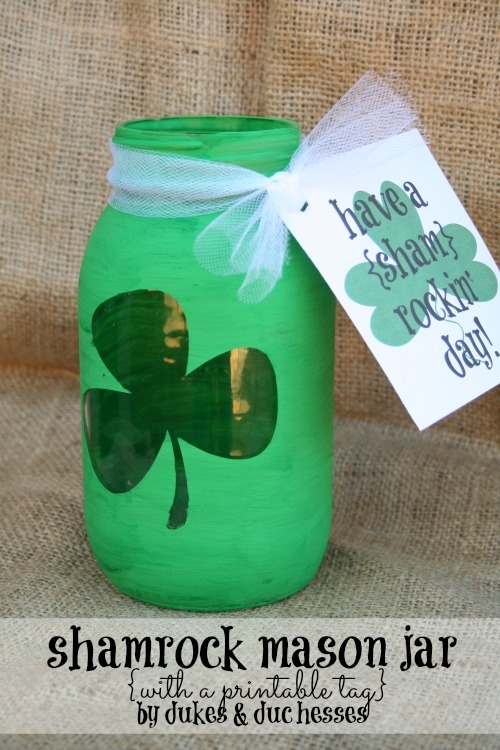 This DIY painted mason jar is super easy – all you need is a vinyl shamrock sticker, a plain mason jar and some green paint. Add the free printable tag from Randi and you have a great giveaway for your friends and neighbors. These upcycled treat containers are so fun to make and that’s before you even fill them with treats! 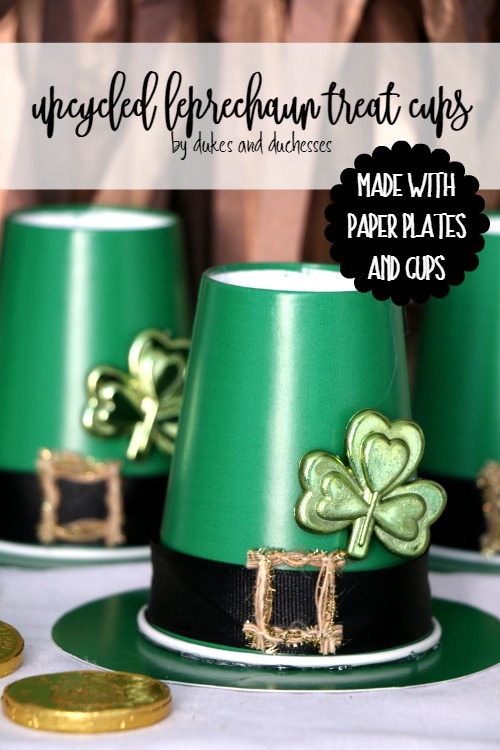 They use paper cups and materials you probably already have at home and are the cutest leprechaun hats around. Celebrate St. Patrick’s Day while squeaky clean with this shamrock soap. 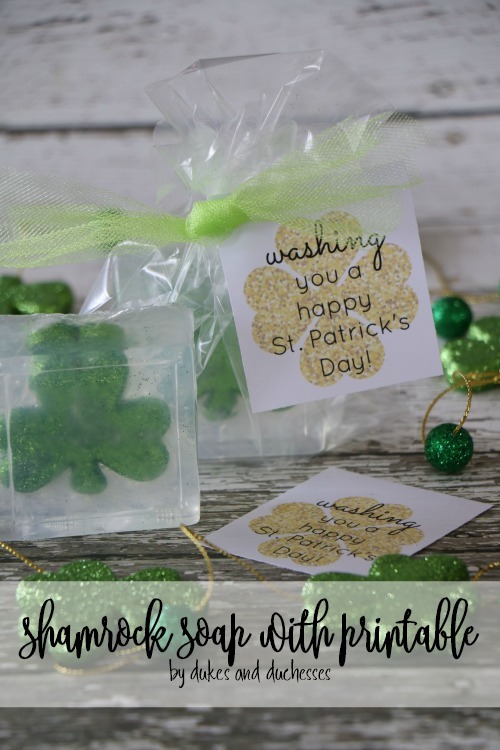 This soap uses a premade glittery shamrock and soap base that can be found in any craft stores. Add Randi’s printable tag and you’ve got a cute gift. Rainbow colored gumballs in a gumball favor tube create a cute St. Patrick’s Day party favor for kids! Lindi’s printable tag tied with some white ribbon adds to the cuteness. If you’d rather have a cup of coffee than green beer, you need this St. Patrick’s Day coffee mug. It’s easy to make with this free Cricut cut file from Kim. Don’t let those leprechauns pinch you because you’re not wearing green! This free cut file from Kim will keep you save this year! These adorable sugar scrub gifts are as easy to make as they are cute! Pour and mold soap base from the craft store combines with coconut oil, sugar and essential oils before they’re poured into shamrock shaped molds. 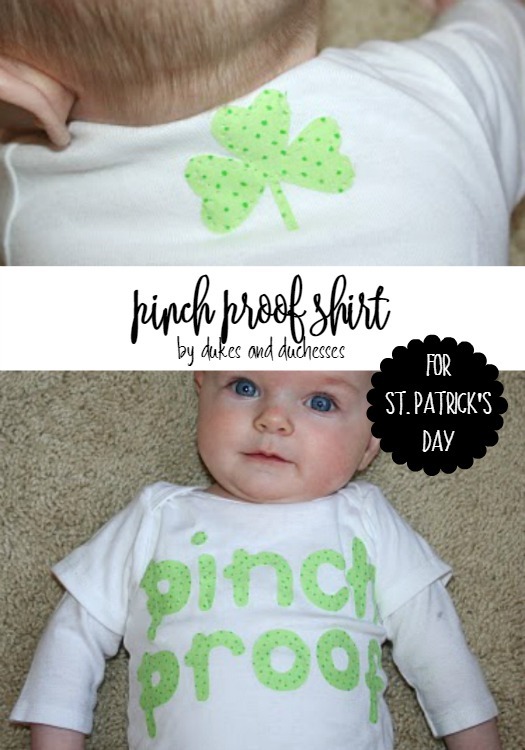 Make sure your baby is pinch proof with this darling DIY St. Patrick’s Day baby onesie. It’s easier than you’d expect and you don’t need to be a master seamstress to make it. This DIY St. Patrick’s Day Banner uses a premade DIY banner as it’s base and it’s easy to personalize with this shamrock template from Tammy. Just cut out the shamrock pieces out of felt and hot glue them to the banner for an instant St. Patrick’s Day decor piece. Black plastic cauldrons are filled with gold candies and topped with a candy pop! Rainbow striped candies are layered on a candy stick and topped with gumballs in all colors of the rainbow! Remember Randi’s shamrock soap? This version uses a lucky penny to give you some Irish luck. 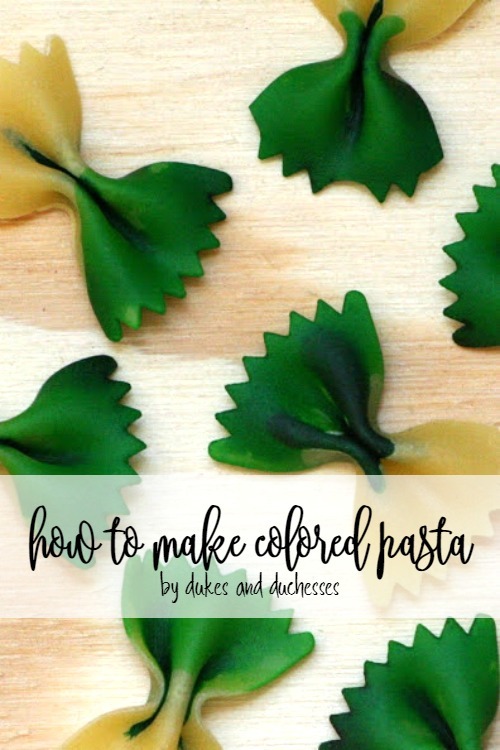 Oh, think of the pasta-bilities you’ll have with this green colored pasta for St. Patrick’s Day. Your kids will look forward to St. Patrick’s Day dinner every year when you serve up these green bow tie pasta noodles. 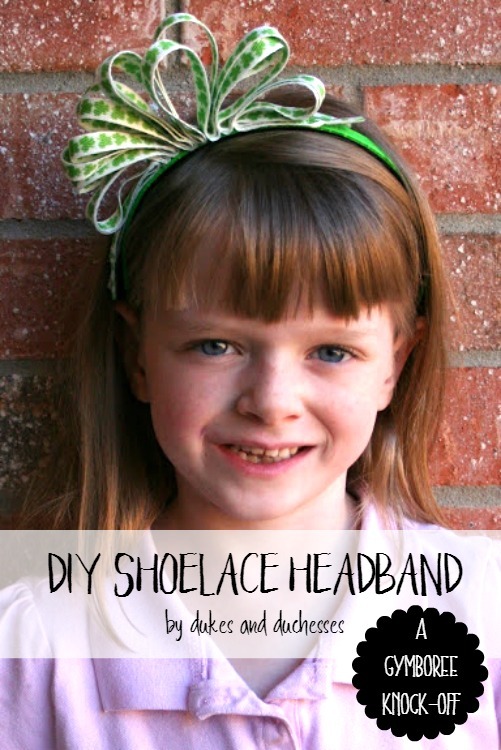 Your little girl will love this DIY shoelace headband. The best news? It’s so easy to make that you’ll be able to create one for every holiday, not just St. Patrick’s Day. Transform a plain green t-shirt into a fun, seasonal St. Patrick’s Day shirt! 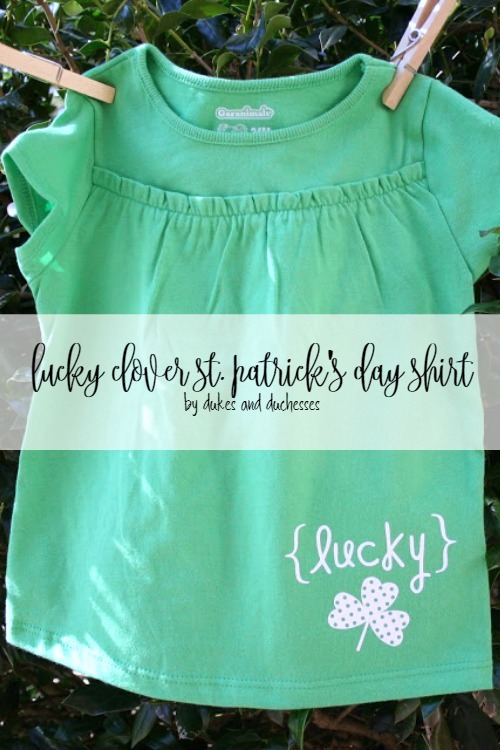 All you need is this simple Cricut cut file, some heat transfer vinyl and an iron or heat press to create this DIY St. Patrick’s Day shirt. 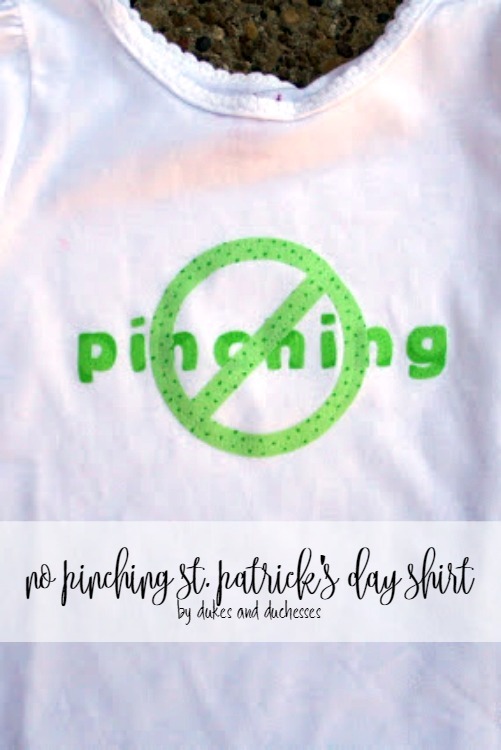 Let those leprechauns know that they need to stay away with this DIY “No Pinching” shirt! Randi made hers with scraps found in her sewing basket and all you need are a shirt and a small piece of green fabric. This shamrock T shirt cut file is perfect for either a boy or a girl (or maybe even you!). The leprechaun will stay away for good when you’re sporting this easy to make St. Patrick’s Day T shirt! Did you know that four hearts glued together make a four leaf clover? 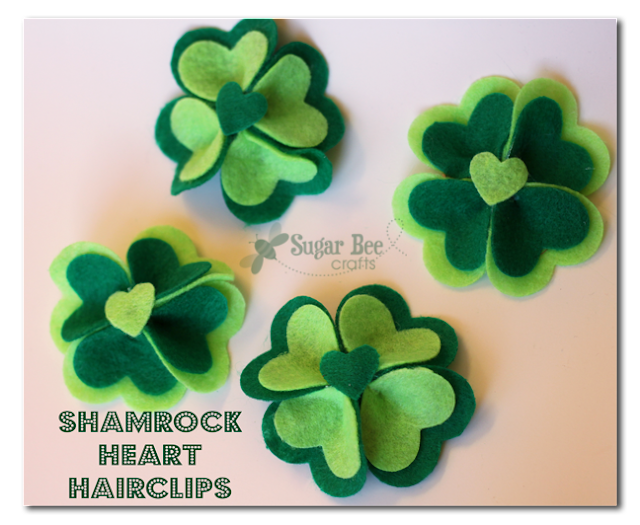 These four leaf clover hair clips are made with felt hearts of different sizes. They’re adorable and so easy to make! If you’re not a master sewer, don’t worry! 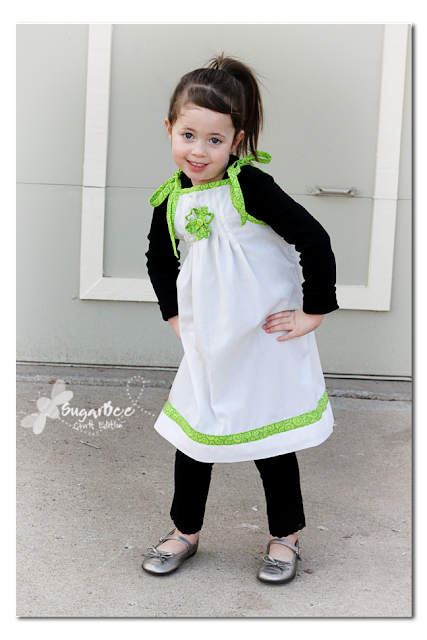 This pillowcase dress tutorial by Mandy has all the steps you need to create a one of a kind dress for your little girl! As a bonus, it even has a removable shamrock pin made out of the same material. 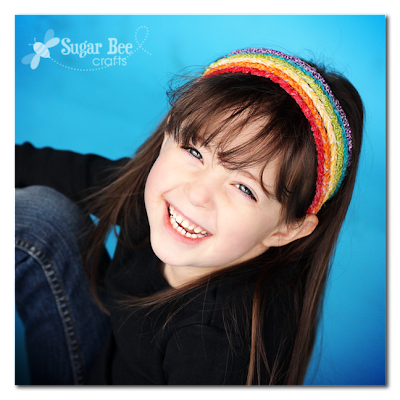 Somewhere over the rainbow is this adorable headband! It’s easy to make – all you need to know how to do is braid! 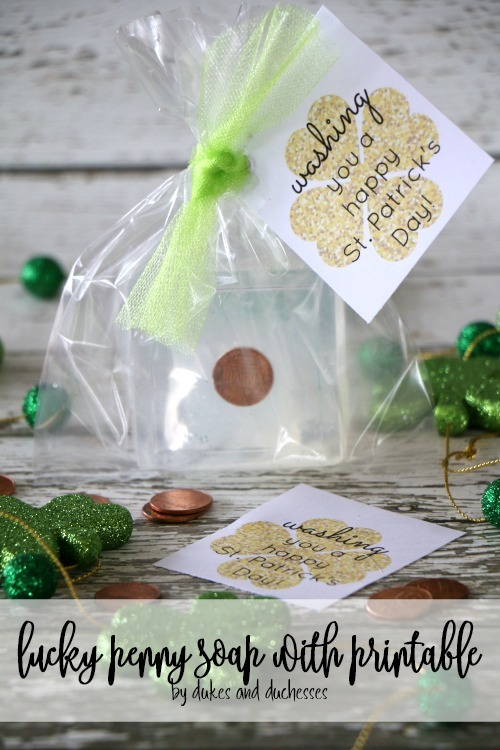 Celebrating St. Patrick’s Day is easy and fun with these St. Patrick’s Day crafts and project tutorials! What will you make?